6 easy weeknight dinners plus a rich, chocolate dessert! 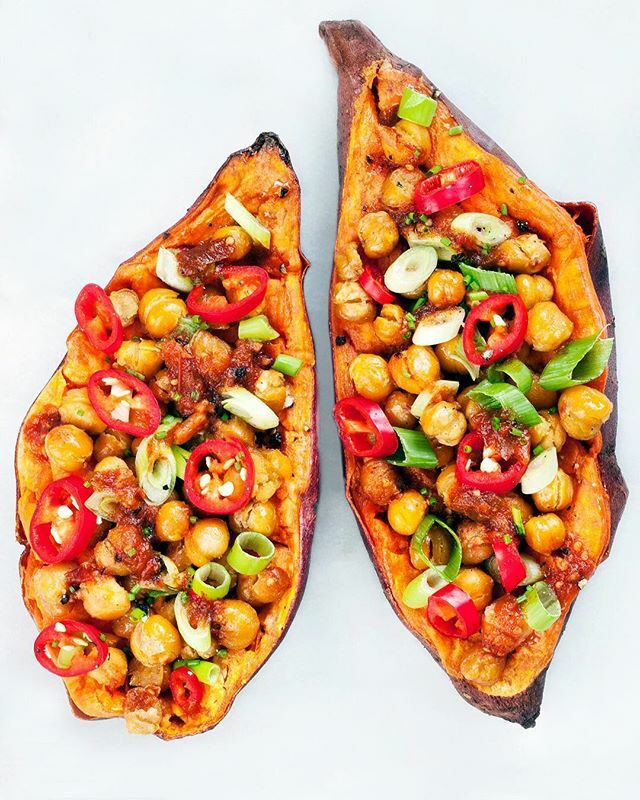 Sign up for our Weekly Meal Planner Email Newsletter here to have 6 great dinner recipes (along with a full shopping list) delivered to your inbox every Sunday! There's no denying that we love a hearty potato boat for dinner. Stuffed to the brim with spicy chickpeas, red chilis, and sliced scallions, these sweet spuds have got it all. Feedfeed Tip Trying to get ahead on your week of dinner? Roast sweet potatoes over the weekend and keep them stored in a airtight container until you're ready to eat them. 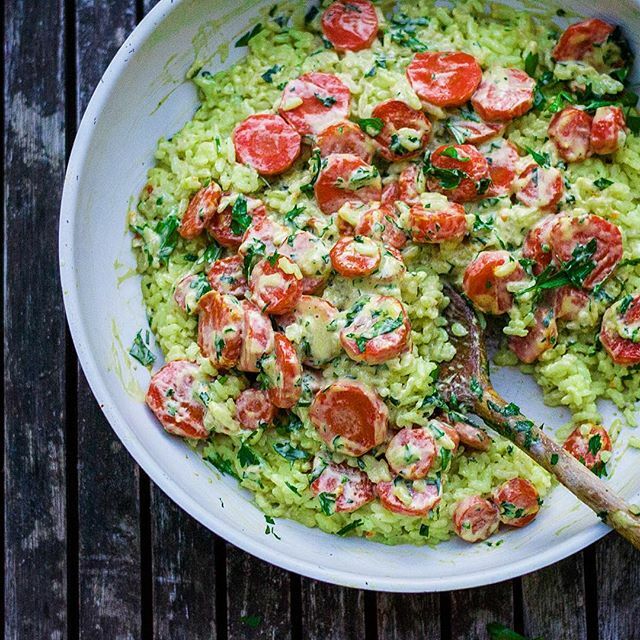 This creamy risotto is seriously no joke. With a hearty serving of chili-roasted carrots, this bright, colorful dinner is hands-down picky eater approved. If you don't have parsley, use whatever fresh herbs you might have on hand. Feedfeed Tip Many people assume that to make risotto, you need to be stirring your rice mixture for hours on end. Don't let that discourage you! As long as you're stirring somewhat frequently, your risotto will surely be creamy and delicious. 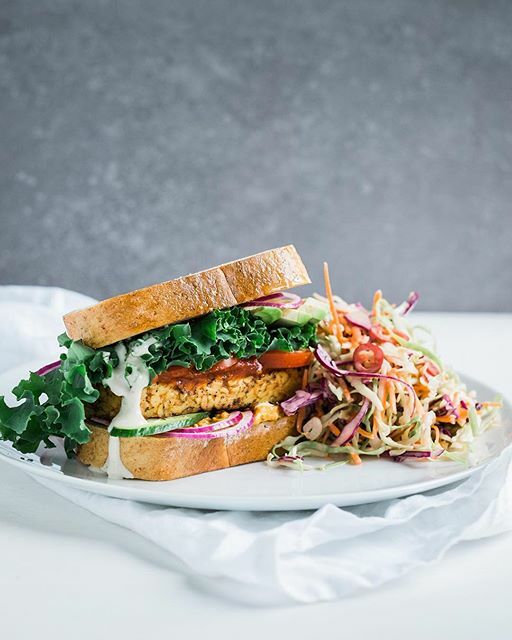 This wholesome tempeh sandwich is the perfect dinner solution. Decked out with a colorful cabbage slaw, this low-key dinner is a keeper. Plus, if you have any leftovers, they make for a great packed lunch the next day. Feedfeed Tip New to tempeh? You shouldn't be! We can't get enough of this protein-packed legume, and it's great in sandwiches or on skewers. We know, we know. Soup in the summer can be unchartered territory for a lot of folks. However, this ultra-light, flavor-packed soup is a great way to mix it up on a rainy, stay-in-bed kind of summer day. Take our words for it! 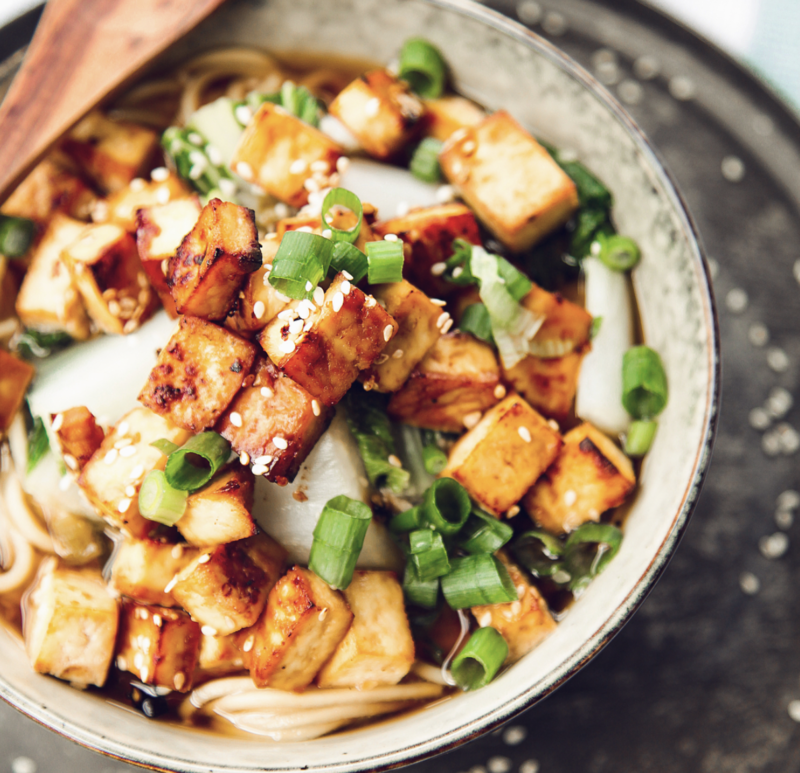 Feedfeed Tip Miso is an Asian paste made with fermented soy beans, and the flavor is truly one of a kind. Use it in soups, stews, stir-fries, and even salty-sweet desserts. 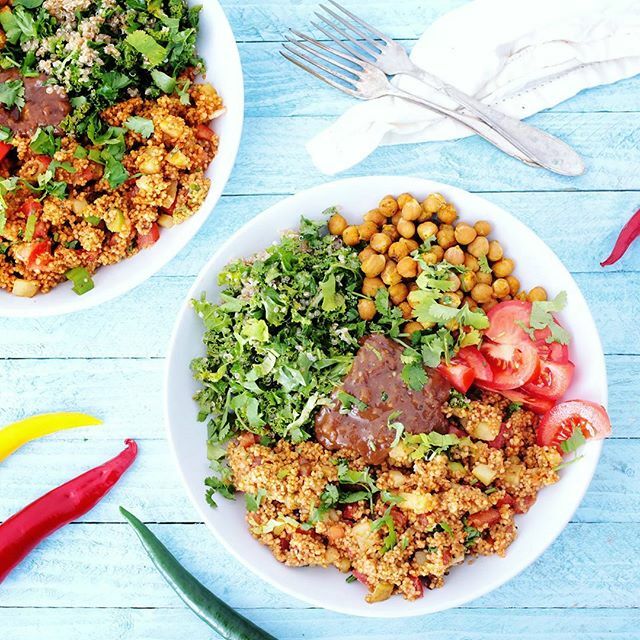 Tamarind is a sweet, sour fruit that brings this hearty grain bowl to life. Potatoes, chickpeas, kale, and tomatoes amp up the couscous for a satiating dinner that the whole family can enjoy. 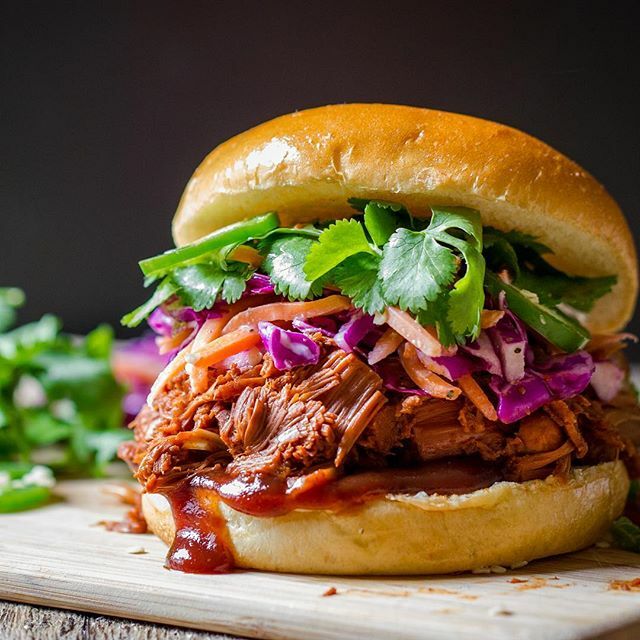 These tasty jackfruit sliders are the perfect Friday night party food for a crowd. You'll want extra paper towels, because these tend to get messy! Feedfeed Tip If you're not a fan of jackfruit, you can always sub in tempeh, tofu, or another plant-based protein of your choosing. 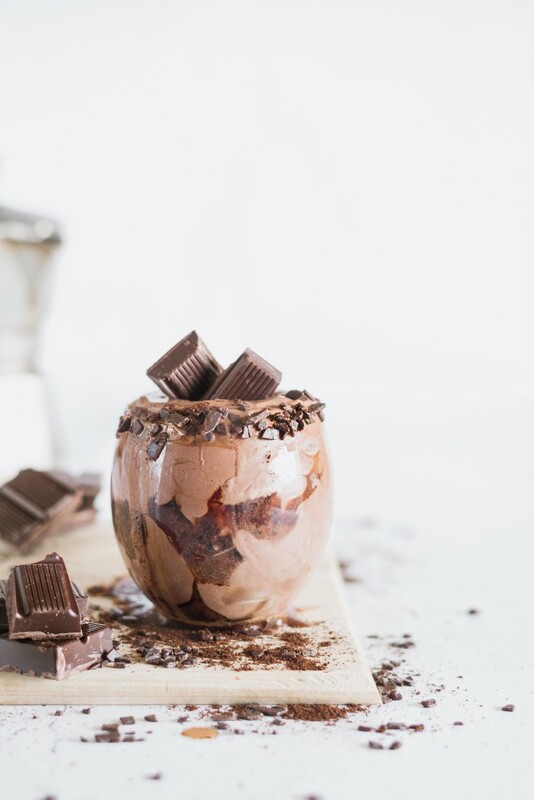 Chocolate cravings are very real, and that's exactly why your job this weekend is to make a couple bowl-fulls of this luscious chocolate mousse. Tofu adds a thick, creamy consistency without sacrificing that delicious chocolate flavor.